Your child has a burning passion for acting and performance, and you have taken the leap into the wonderful world of show business. Congratulations! This is an exciting time for you and your child, as well as a busy one. 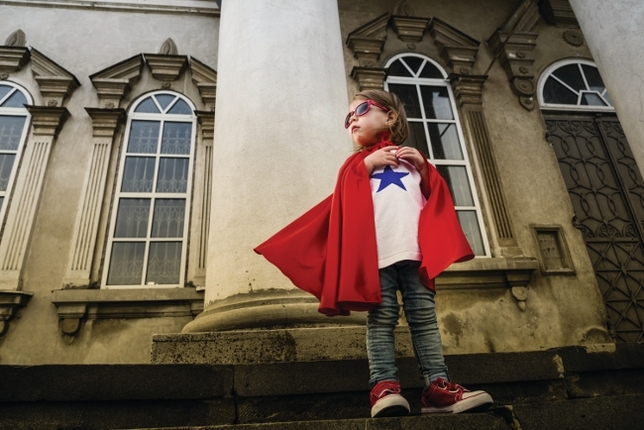 There are many things you can do to help your child prepare for a professional acting career. As a young performer’s manager and acting coach for over 30 years, here are my recommendations of six things you need to get started. Good headshots are essential for your child’s career. A headshot is your child’s business card. It is a casting director’s first impression and a way for your performer to get his or her foot in the door. Initially, parents need not spend money on headshots for children. A good candid photo will be sufficient for an initial interview. However, once your child progresses in his or her career, a professional headshot is essential. Headshots should be a natural representation of your child—a picture that shows their personality. Be sure to find a photographer who has worked with children and photographs in an environment that is compatible with what you want. A résumé provides casting directors with your child’s range of experience. It can be an indicator of your child’s type, which can help him or her land jobs. A résumé is not just a list of acting credits, it is also a place for your child to highlight special skills such as dance, dialects, and sports, as well as acting training. The résumé should be laid out simply in columns, making it easy to read. Do not include your home phone number or an address; instead, provide a cellphone contact. There is also no need to mention your child’s age or age range, as this is limiting. While this isn’t essential for a beginning acting career, it can help. A demo reel provides an image of your child’s presence, how they look on film, and his or her acting ability. It is a bonus for casting directors, as they can gain a sense of your child’s personality. Just as headshots are your child’s business cards, audition materials such as monologues and songs are the portfolio. Your child should have two short, contrasting monologues memorized that he or she feels comfortable performing in auditions or interviews. If your child sings, they should also have 16 bars of a song performance-ready. A personal connection to the monologue and song is an opportunity to show authenticity and skills, as well as a range of diversity. Training is an essential element to your child’s acting career. This is a competitive business where luck, talent, and opportunity meet. Having the right look for a role is key, but talent is what wins out. In my professional opinion, a combination of weekly group classes, workshops, and private coachingis the best training regimen for your child’s artistic growth. All of the elements I have discussed are important to your child’s acting career, but none so much as having familial support. Professional acting is a full-time job and it requires support and encouragement from everyone. Rejection is a large part of the entertainment industry; with every success your child experiences, multiple failures precede it. Acting takes a remarkable amount of courage and determination. It’s an industry in which you need to believe wholeheartedly in your abilities as a performer. In order for your child to succeed, you must take a leap of faith as a family and encourage each other on this fantastic journey.